Today, for a change of pace, I have decided to try something different — a positive piece. The reason for this attempt at positivity is the pride I have felt about our community over the past eight months or so. I want to share with you some of those reasons and moments. I will start with a moment that was responsible for a light misting of my eyes: Olympic recognition. “Recognition” is the perfect word for what I think we fight for; it’s also quite a loaded word. It puts us in a super vulnerable position to admit that our sport is not seen by the general public in the way we think it should be. That’s started to change, albeit slowly. Watching the video shown at the 128th International Olympic Committee Session (starts @ 2min mark) with all those sweet plays made by athletes of all ages and genders made me realize just how much work everyone has done to get us this far. There are countless players whose shoulders we stand upon today. It also brought personal memories pouring back: workouts in the cold rain where only the moon would judge me if I quit, lifting sessions where the weights wouldn’t lift themselves, pushing trucks while wearing a snowsuit in Alaska at 40 degrees below zero. The strongest memory I had was playing with the two USA teams at the World Games and the dream I think we all shared of lifting our sport from that venue to the Olympics. Those two teams were awesome and so were the people on them. We worked really hard, maybe harder than any team I have ever been on. Boys and girls, side by side, sweating it out, grinding against expectations, pushing each other to be better, spread across the country but united by a common goal. We knew we were representing not only our country but the whole ultimate community in showing our sport at the highest level. That type of play, when you play for something more than yourself — it changes people. It can make a group of people become more than the sum of its parts. It even made Ryan Farrell a real spirited guy — it’s that powerful. And we weren’t the only team that felt that way. Every other ultimate team there had given everything to become the best team they could leading up to the Games. Every time we took the field, I always secretly wondered: what if the head of the Olympics is watching this game? What if he judges our sport by this game? In all honesty, I know it really comes down to a lot of really hard-working people in WFDF and USAU who got us this far. But I am happy we all played our parts, however small they were. Seeing that little step closer to the Olympics is what it must be like for a parent to watch their child take a first step. And after watching all the great players compete at U23s, I know the sport will be in good hands when it does take that final step. In an effort to be smarter and become less of a misogynist I went to USAU’s gender equality meeting at the US Open. First, big ups to USAU for doing that with the knowledge that they were going to unleash a hornet’s nest in a closed room with little air flow. Maybe the stuffy setting was a ploy to ensure a shorter meeting — it didn’t work, of course, but clever try, USAU. Anyways, the meeting went kind of how one would expect: disgruntled people hurled sharply worded questions like spears. Although I don’t think an aggressive tone is required for a debate, I did agree with the general consensus that women’s and mixed ultimate should be promoted more. Lastly, to all the people who work tirelessly with little recognition and no resources to grow women’s and girls’ ultimate: you are incredible. You know what? I am feeling like Oprah. 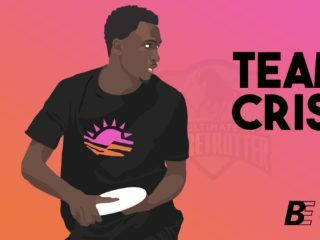 Everyone who helps grow youth ultimate deserves recognition and a big hug. In fact, I need to just stop talking and start walking the walk. Maybe others “elite” players will join this movement. 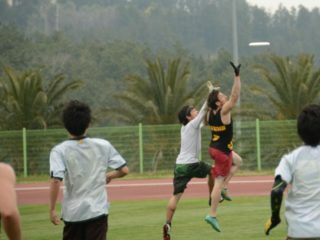 I will try and attend five youth ultimate camps next year. If you got a camp and want me to come, contact me. Reading the recent New Yorker article was a breath of fresh air. It shows that, ever so slowly, we are starting to see a shift away from stale thoughts and recycled material. 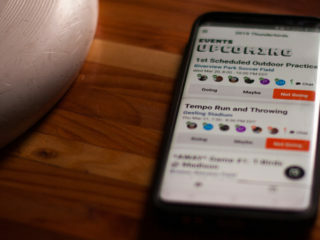 A while back the New York Times ran an article which was supposed to be a big piece for ultimate. It was not the comforting cuddling affair we had hoped for. I remember back then the guy who wrote it talked with me on the phone for an extended period of time, and I remember very vividly thinking, well this guy has a lot of preconceived notions that he really does not want to change. Sadly, I didn’t do much to stand up for our sport and just kind of let him rub his greasy opinions all over my soft backbone. He had written the article and come up with the negative narrative long before doing any actual research. Recently, I talked to another reporter from another big publication and the conversation was much different. I was not ashamed to speak highly of our sport and he was humble enough to listen. Evan: Hey honey, how was your day? Me: Okay, but I got some crackers and cheese. Evan: Thats great, dear. But how do you feel about that cheese? Did you think that’s the best cheese or just the best available? Will it be too thick, or will the heat cover up that weakness and make it smooth? Those crackers might be too frail for what you want, will you try to bulk them up? Do you see any of your injuries slowing down your cracker consumption? Jokes aside, being the “voice of ultimate” is a lot of pressure and he has been doing a great job of providing the type of broadcasting we need. He also works really hard, which is something that makes me think — maybe dating him wouldn’t be that bad. Evan, call me. My list got too long so I must end it here, but lastly I want thank everyone for the slight shift in positive energy. The ultimate community is huge but has always lacked the ability to unite and fight for its own. We’ve always hesitated to push our sport to new levels for fear of losing what makes our sport great. Partly it’s because we don’t know where to push, or whether our pushing will be a waste of energy. However, recently I’ve seen that the community of collective winds is changing: we no longer blow directly in one another’s faces, but maybe off to the left a little, allowing progress on all fronts. I think the reason for this slight shift is this: we are starting to believe that our sport is indeed a sport worth fighting for, and we are starting to realize that helping each other is far more rewarding than holding on to negative options. So: good job, ultimate community. I am honored to be part of this constantly growing family.